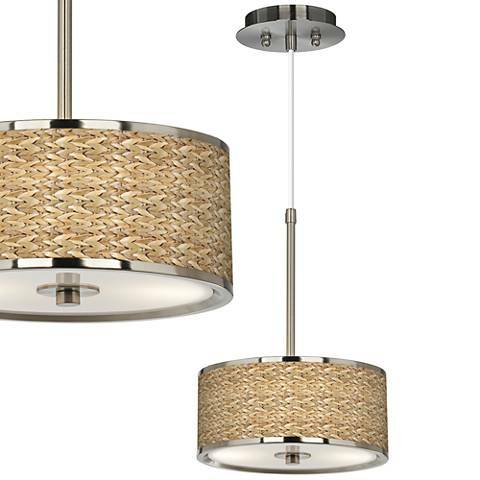 A great way to add a gorgeous natural element to a room is by adding in woven pendant lights. These beauties are everywhere right now! Woven designs can add a natural, organic touch to any room. They’re even showing up in unexpected places like the bedroom where they make such a great statement piece hanging over the bed! I’m just dying to get my hands on one! Seagrass weave – a classic choice that you can’t go wrong with! 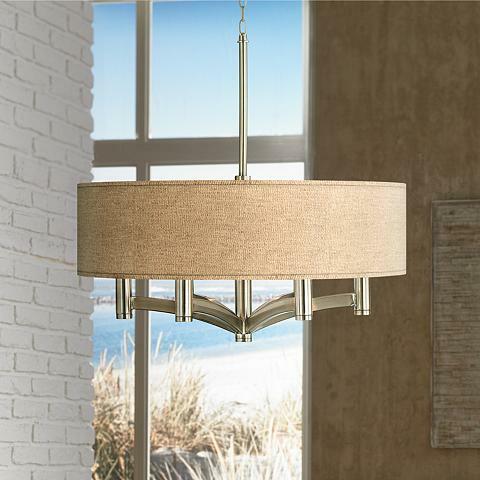 Woven pendant lights come in all shapes and sizes, but we say, the bigger the better! Usually woven from a natural grass, like seagrass, they really bring an exotic, global flair to the room. We love the idea of hanging it really low and off centered off a bench or a chair as an alternative to a traditional reading lamp. A dining room or bedroom would be pretty boring without a statement chandelier. Again, it’s unconventional to put woven pendant lights over the bed, so go for it and be creative. Hang it by a pipe in an industrial space for an instant wow factor. One thing to note: many designs have the look of natural woven material, but are actually crafted from other sources. For example, some lamp bases may look like natural weave material, but are made from fine cast resin. To choose another example, some shades are not natural fabric, but instead are made from canvas and have a printed pattern that looks like real woven seagrass or other fibers. Many customers don’t care, they just want the look of a woven material. But if it matters to you, make sure you read the product details to see what the lamp or fixture is made from.